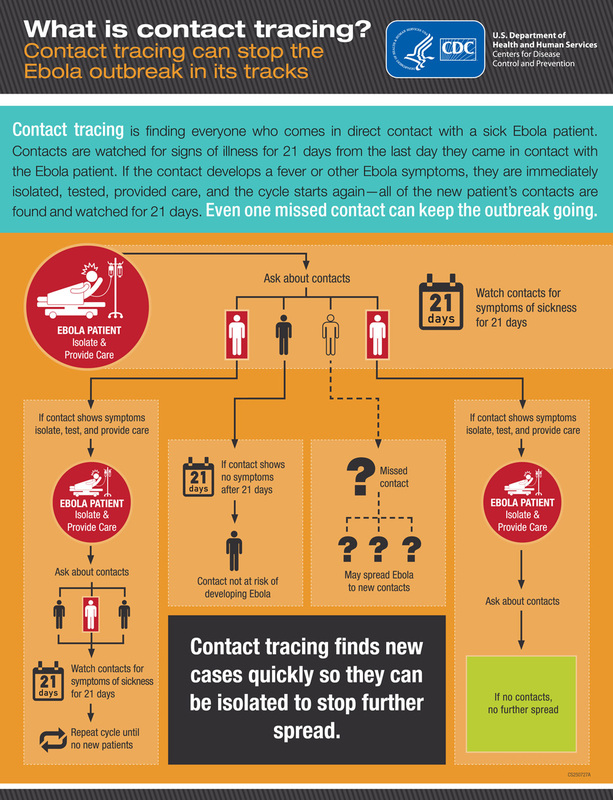 The information on this website is provided to facilitate learning how evidence guides infection control policies and protocols, using Ebola as an exemplar. It is NOT intended to replace any guidelines or policies currently in effect. A brief summary of each link is provided as well as guidance as to how these resources might serve as learning activities for students.The 7 learning outcomes are listed together, then links and learning activities are provided for each outcome. Maintain awareness of current events from multiple perspectives. Jump to the resources for outcome one. 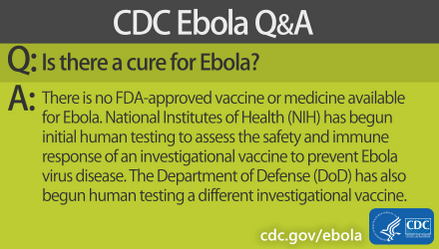 Explain how to discern best evidence when learning about new diseases/protocols. Jump to the resources for outcome two. 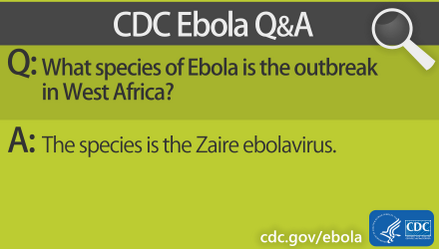 Explain how transmission of infectious diseases is determined and measured. Jump to the resources for outcome three. Explain which personal protective equipment would be needed for different types of isolation. Jump to the resources for outcome four. 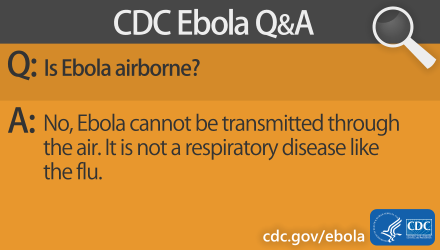 Explain the process of protecting oneself from both acquiring and transmitting an infectious disease. Jump to the resources for outcome five. Recognize breaches of infection control measures and impact on patient safety. Jump to the resources for outcome six. Advocate for patients and healthcare providers when protocols are ambiguous or contrary to evidence. Jump to the resources for outcome seven. 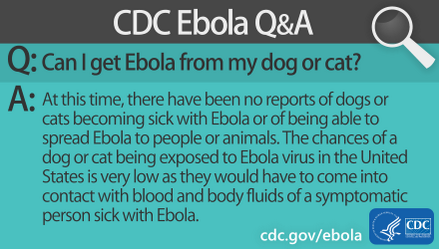 Compare and contrast information from current events, and sites such as CDC, WHO, Medecins Sans Frontieres (Doctors without Borders), and Red Cross. The journal article that you will be connected to via this link illustrates the use of mathematical models to calculate the effective reproduction rate for the EVD. It provides a clinical application of the information provided in the first link above, shedding light on EVD transmission dynamics and provides concrete data to support the fact that this 2014 EVD outbreak represents a Public Health Emergency of International Concern. Genomic surveillance is a contemporary method for the detection of infectious disease, supplementing the information gleaned from classical approaches used to trace the origins of an infectious disease transmission (e.g., clinical and/or serological techniques). This recent article published in a leading science journal provides an example of how the genomic surveillance technique was used to determine where the EVD originated and how it is transmitted. This link brings you to an open-access article published by the Public Library of Online Science (PLOS) Neglected Tropical Diseases Journal. It provides insight into the etiology and evolution of EVD transmission from an ecological and economic perspective. This succinct summary of these two filoviruses that are among the most virulent human pathogens contains a section describing EVD transmission that provides references for those who wish deeper insight into the science behind the transmission phenomenon. Hospital Videos: There are many hospital videos available on PPE. This video from University of Iowa was chosen as it covers standard precautions and three types of isolation, showing correct and incorrect PPE usage. This video is typical of how healthcare providers in hospitals are trained. Discuss how such guidelines might be contrary to emerging evidence for unfamiliar viruses, and how healthcare providers might be placing themselves and patients at risk. Use this video to discuss how the first two nurses in the US may have become infected, despite following their hospital procedures. 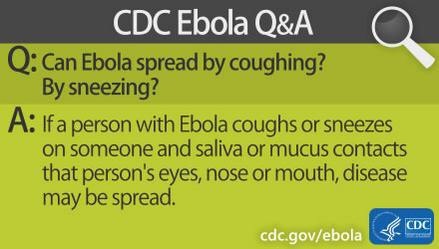 Learning activity: Use CDC fact sheets to compare and contrast the published factsheets from August 2014 and October 2014 based on emerging evidence regarding transmission of ebola. The documents are at the bottom of this section. 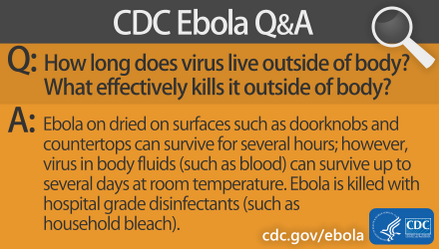 Learning activity: Compare and contrast the guidelines published by WHO and CDC, and the article by NPR on Ebola School. WHO (World Health Organization) guide on clinical management of VHF (viral hemorrhagic fever), published March 2014. This document is at the bottom of this section. This is document includes excellent illustrations and step-by-step guidelines. It is written for the front-line healthcare worker. It includes infection control, psychological support, discharge, and follow up. It also specifically addresses the care of children, and pregnant women (including the management of a mother in active labor), including considerations for birth and breastfeeding. TeamSTEPPS was developed by AHRQ and the Department of Defense (DoD) as a teamwork system that offers a powerful solution to improving collaboration and communication. “Mutual Support” is one of the program’s 12 modules and contains information on practical strategies for speaking up to address important safety issues. The slides from this module are available for free download from AHRQ. AORN, AACN and VitalSmarts present: The Silent Treatment - This report shows how nurses’ failure to speak up when risks are known undermines the effectiveness of current safety tools. It then focuses on three specific concerns that often result in a decision to not speak up: dangerous shortcuts, incompetence, and disrespect. The Silent Treatment tracks the frequency and impact of these communication breakdowns, then uses a blend of quantitative and qualitative data to determine actions that individuals and organizations can take to resolve avoidable breakdowns. Worker’s Right to Refuse Dangerous Work- The US Occupational Safety and Health Administration outlines the conditions under which workers have a right to refuse dangerous tasks.